A Seated Dinner is included along with two drink tickets and a cash bar is available. 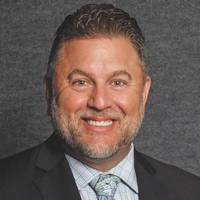 We invite our NARPM Orlando Central Florida members to come celebrate the accomplishments of 2018, relax and socialize and welcome in our new leaders for 2019 with Brian Birdy, 2018 NARPM National President. We are not taking payments at the door. All registrations must be online. Cancellations must be received in writing. If received 10 or more days before, registrant will receive a full refund less a $15.00 processing fee. If received less than 10 days before no refund will be issued. No refunds will be made on the day of event; however, the registration fee can be applied to a later event; with a $15.00 transfer charge.